The UK government has just announced plans to phase out petrol and diesel vehicles from the UK. This is going to bring into sharp focus the need for rapid development in many directions for transport, over the next 20 plus years, from the car technology we will drive, to the infrastructure for refuelling. Not least there will be an increased demand for renewable fuels. So, the news must be good for the biogas industry, and the bigger focus on renewable energy which it will bring. On this blog, we bring you a round-up on the news for biomethane in the light of this announcement. Biomethane is created by biogas plants which have added equipment to “upgrade” their raw biogas to a purer quality and compress it. When suitably upgraded it is often called CNG (Compressed Natural Gas) and can then be used to power vehicles. Biomethane is ideal for powering very low emission vehicles. UK trade body, the Anaerobic Digestion and Bioresources Association (ADBA), has called on the government to make the fuelling of busses and heavy goods vehicles by clean biomethane central to its Clean Air Strategy (i. e. Biomethane for HGVs). The organisation explained that biomethane is a low-carbon transport fuel produced by the anaerobic digestion (AD) of organic wastes to create a biogas which can then be upgraded to create a methane-based fuel. According to ADBA, the UK AD industry already has sufficient capacity today to produce enough biomethane to power the UK’s entire bus fleet, and the use of biomethane for buses and HGVs has increased in recent years in response to concerns over the cost of fossil-fuel-based fuels and their negative impact on air quality and greenhouse gas emissions. Biomethane is a low-carbon transport fuel produced by anaerobic digestion (AD), a natural process that breaks down organic wastes and purpose-grown crops to create a biogas that can then be upgraded to create a methane-based fuel. The UK AD industry currently has sufficient capacity to produce enough biomethane to power the UK’s entire bus fleet (Biomethane for HGVs), and the use of biomethane for buses and HGVs has increased in recent years in response to concerns over the cost of fossil-fuel-based fuels and their negative impact on air quality and greenhouse gas emissions. For instance, in May, Nottingham City Transport’s unveiled a new £17 million double-deck ‘Bio-Gas’ bus fleet, the largest of its kind in the world. ADBA’s call to arms comes as the Department for Environment, Food and Rural Affairs (DEFRA) has today (26 July 2017) published its plan to deliver nitrogen dioxide compliance in UK towns and cities, part of a wider Clean Air Strategy due to be published in 2018. The measures unveiled by DEFRA include £255 million of funding for local authorities to crack down on roadside emissions, including from busses and other types of public transport. Local councils will be required to produce local air quality plans that reduce nitrogen dioxide levels in the fastest possible time, while local authorities will be able to bid for money from a new Clean Air Fund to support improvements that will reduce the need for restrictions on polluting vehicles. This could include upgrading bus fleets. The new measures announced also include the right for van drivers to use heavier vehicles if they are electric or gas-powered. “The use of biomethane derived from well-managed feedstocks as vehicular fuel can help to reduce the scandalous levels of air pollution we see in towns and cities across the UK, costing thousands of lives each year” said ADBA Chief Executive Charlotte Morton. “Local authorities reading the Government’s air quality plans now have the perfect opportunity to follow the example of Nottingham City Transport and others in rolling out biomethane-fuelled municipal bus fleets, which can make huge improvements to air quality in the UK’s towns and cities. Over the short to medium term, biomethane presents the only practical means of decarbonising HGVs, buses and non-road mobile machinery. While biomethane has the potential to power every HGV in the country and some pioneers have grasped this opportunity, far more support is needed from government to make it easier for others to follow their example. To reflect the growing interest in low-carbon fuels such as biomethane, ADBA will be hosting the third UK Biomethane and Gas Vehicle Conference on 28 September 2017 at the Queen’s Hotel in Leeds, bringing together transport, fuel infrastructure, freight, and logistics professionals and local authorities to share the benefits of biomethane and discuss what is required to stimulate and grow the market. The Anaerobic Digestion and Bioresources Association (ADBA … which outlines steps to be taken to reduce emissions of Nitrogen Dioxide across the UK. Under the plan, local authorities are expected to deliver local proposals to clean up their air within their local areas. Also commenting on the government’s plan, James Court, head of policy and external affairs at the Renewable Energy Association, backed plans for an increased use of renewables in the fuel mix. He said: “The government can also take steps to reduce carbon emissions and urban pollution today by increasing the amount of renewable biofuels in the petrol mix. Mr Court emphasised that electric vehicles will be an essential part of the future energy system that can “improve air quality, decarbonise transport and optimise the UK’s energy infrastructure”. But that we need government action to use renewable energy to power electric vehicles, and ensure a “genuinely decarbonised sector”. ADBA and REA have called on the government to increase the use of renewable biomethane to fuel vehicles, as part of efforts to tackle air pollution in the UK. Yesterday (26 July), the government published a national plan for tackling roadside Nitrogen Dioxide concentrations as part of its upcoming Clean Air Strategy due in 2018. The latest policy proposals aim to fight air pollution at a local level and include a commitment to end the sale of new diesel and petrol only vehicles from 2040. Under the government’s plans, local authorities are expected to deliver plans to clean up their air within the next eight months. 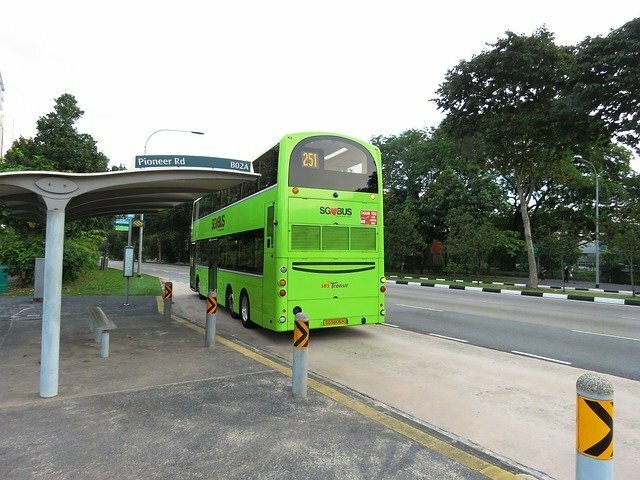 The government is offering funding support for changes such as retrofitting and low emission bus technology.